This is the second part of the commissioned Deadpool project. 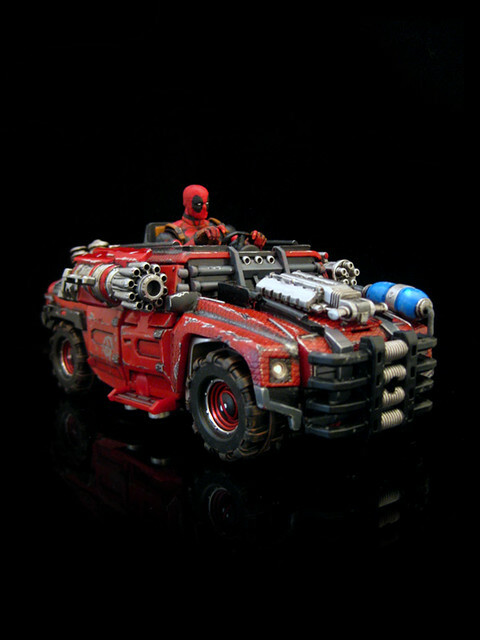 Deadpool now has a sporty and cool Power Wheels that transforms into an exo-suit. Deadpool fits in the cockpit up top and tears up his enemies even more easily than before. If Deadpool's going to go big, he's gonna go big with some style. The exo-suit has amazing articulation; right hand, wrist, shoulders, waist, elbows, hips, knees, feet and heels. His suit's left arm has an array of weapons that can easily be swapped in via a specially designed peg system thanks to Shapeways. Attachable : Axe, Plasma gun, Chainsaw, Medical circular saw, and flame thrower. 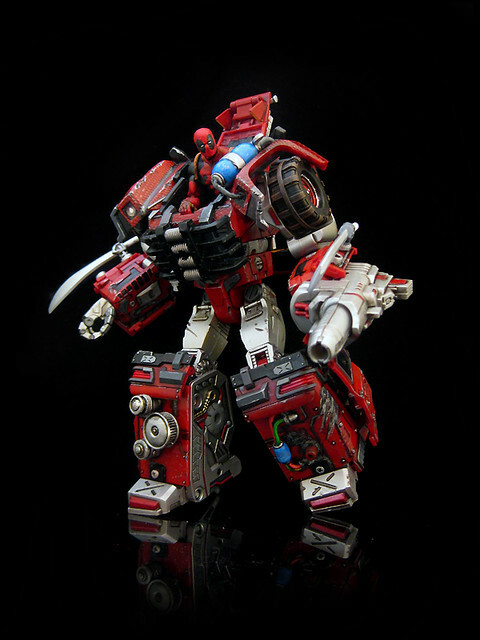 Also, his exo-suit sports 2 magnetically held guns on the backs of his forearms. 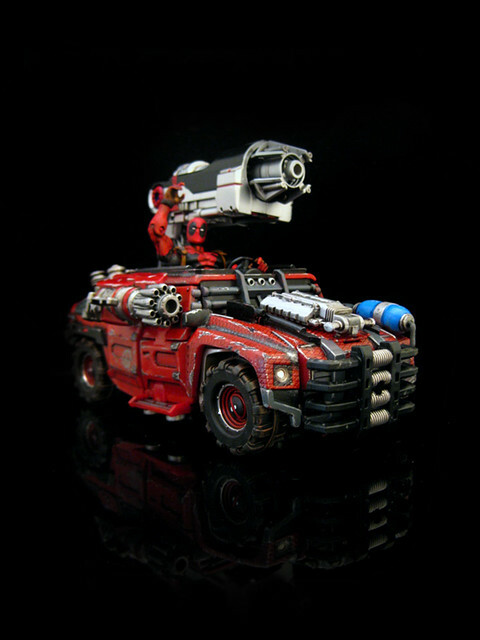 He also yields a giant pistol and harness under his right arm, which his right hand can blast with. 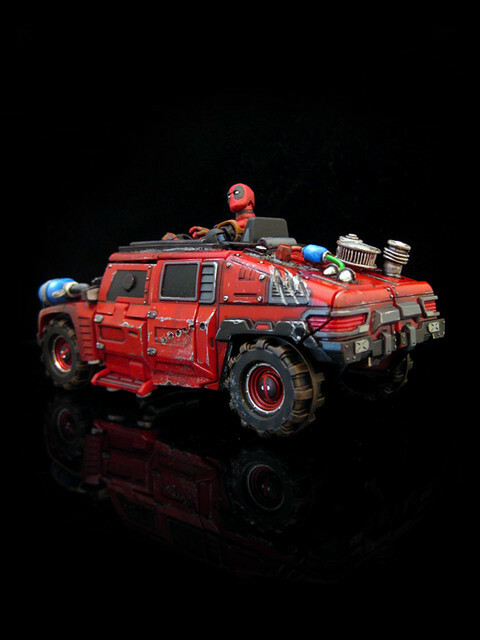 Transform this exo-suit, and Deadpool can hop into the Power Wheels Hummer (tm) The Power Wheels has detachable guns, realistic wear and tear and a great shine.